Dear God Why does my voice Matter? 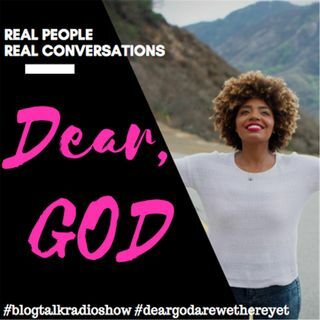 Guest Ally Nathaniel | Dear God, Are we there yet? From: Dear God, Are we there yet? by Dear God Are We There Yet? Primos y Primas I have a special guest today Ally Nathaniel best-selling author, speaker and mentor. She is also a publisher who helps people with their dreams of becoming an author! Her job and passion, is to help women find their unique voices so they can create businesses and lives they love and desire. But Dear God what does “finding your voice” actually mean? Ally says, finding your voice is about taking a few steps back, looking deep into your heart and reconnecting with who you really ... See More are. It’s about finding the clarity and certainty you were born with and is still inside you. It’s about connecting to your purpose. Grab that cafecito because you are going to love this episode and it will motivate you that your voice is important. towards your family, children, work environment and overall to the world!